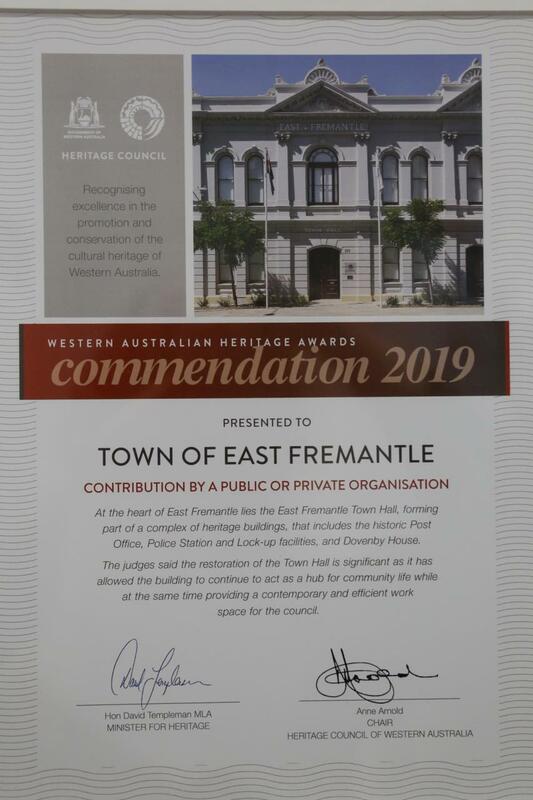 The Town of East Fremantle entered the Town Hall Refurbishment project in the category for Contribution by a Public or Private organisation in the recent WA Heritage Awards. The category aims to demonstrate the commitment to cultural heritage and/or heritage-related work, services or programs in Western Australia. We are proud to announce that at the Award Ceremony held on 29 March 2019, the Town was awarded a Commendation in their category.